A massive was completed inDecember 2010. The upgrades include a new modern white contempory Kitchen, with a huge black breakfast bar. Fully open planned kitchen, and a huge open planned Living room. Black leather 3 seater sofa recliners, and a matching reclining chair.This on top of ceiling fans with lights in every room, and the entire villa tiled, will give this villa a real WOW! Factor.A 47'' LG wall mounted flat screen Tv and Blu ray player in the main Living area, plus wall mounted Tv's in ALL 4 bedrooms. Plus two King size beds, one a 4 Poster! A fantastic 4 Bedroom, 3 Bathroom villa with a Conservation Woodland location. 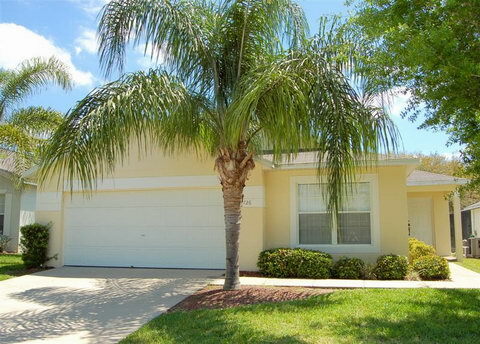 15 minutes from Disney.Fishing Lake nearby.FREE International phone calls,WiFi broadband.Fully loaded New Games room.30ftX14ft Heated screened Pool.Tranquil location. Looks just fantastic! This villa benefits from many things, the 15-minute drive to Disney, the secluded Woodland location. Wireless free Internet. FREE International calls to the USA,Canada, the UK, Ireland and Europe plus many other locations. And of course Air Conditioning. 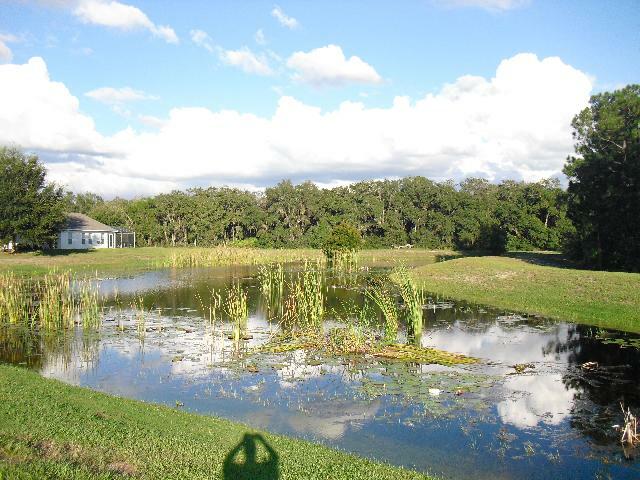 35 minutes from Orlando International and 60 minutes from Sanford Airports. FREE use of private Safe. Equipped modern open planned kitchen and dining area, and a separate utility Room with washing machine and tumble dryer. 30ft X 14ft heated screened pool, not over looked and backing onto acres of Conservation woodland, just make this a beautiful fully modernized villa set in a tranquil location. Two seperate Living rooms,leg rest sofas.Open planned Kitchen with all modern appliances. Cable TV with DVD and Video.Brand new Games room,with full size Pool table,Air Hockey table,Table tennis table and Electronic dart board,plus childrens dart board.A seperate Air Conditioner has been installed in the Games room for your comfort. The villa is located at Clear Creek which is located on highway 27 just off highway 192. There is a 24 hour Wal-Mart superstore a short drive away.There are shops and restaurants close by with a main Post office. This villa as recently been fully re decorated and all new furniture package.